North America is steering a new course, with the United States, Canada, and Mexico moving toward continental economic, integration. This book examines basic value changes that are' transforming economic, social, and political life in these three countries, demonstrating that they are gradually adopting an increasingly compatible cultural perspective. A narrow nationalism, dominant since the 19th century, has slowly been giving way to a more cosmopolitan sense of identity. As old economic boundaries become outmoded, a North American perspective makes greater sense. To what extent, then, do the three North American publics - I each with its own heterogeneities and tensions - share a common culture? That question can only be answered if we have some yardstick by which to measure their cultural similarity. These societies are far from identical. But data from the 1990- 1991 World Values survey, drawn from 43 societies around the world, show that on crucial topics, the core values of the American public are significantly closer to those of the Canadians and (to a somewhat lesser extent) to those of the Mexicans, than they are to those of most other peoples in the world. Furthermore, time series evidence indicates that the values of the three North American publics have been converging. 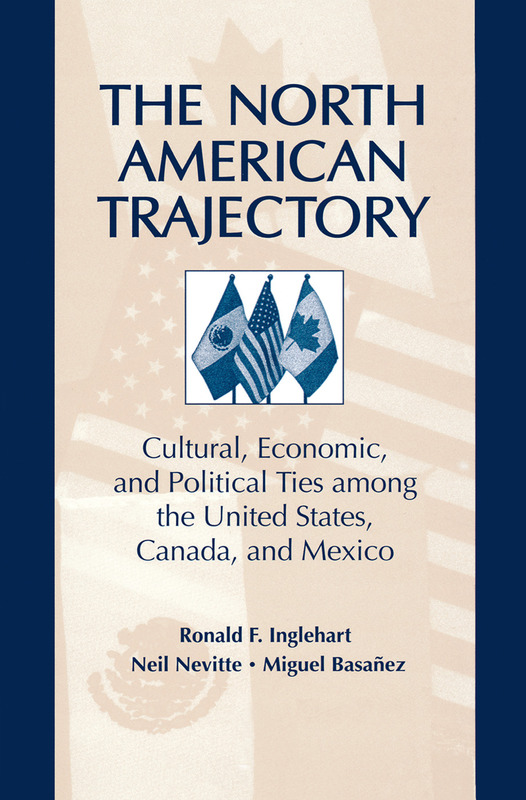 This book draws on a unique body of directly comparable cross-national and cross-temporal survey evidence to show that what Americans, Canadians, and Mexicans want out of life is changing in analogous ways. These changes, coupled with sociostructural transformations, are reshaping peoples' feelings about national identity, about trusting each other, and about the balance between economic and non-economic goals. North American economic integration is being reinforced by the gradual emergence of increasingly similar cultural values. Political Integration in North America?